Minister of Finance, Kemi Adeosun, has reportedly resigned from the administration of President Muhammadu Buhari. According to sources, Adeosun resigned over allegations that she forged her National Youth Service Corps certificate. However, the minister resumed in her office this morning and it is unclear when the reported resignation will take effect. 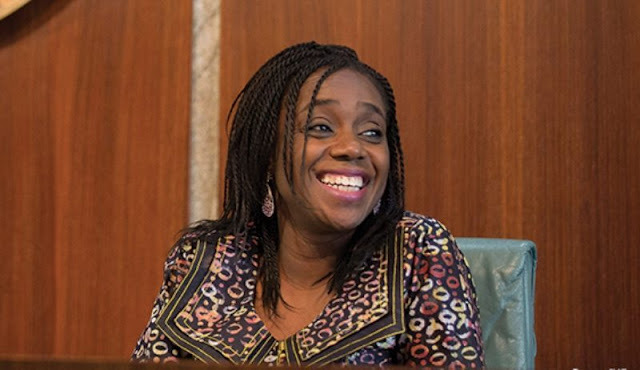 Adeosun had come under fire with several Nigerians, particularly on the social media, demanding investigations from the Federal Government into the allegations and calling for her resignation for presenting an alleged forged exemption certificate. The reports claimed that the finance minister, who did not participate in the one-year national youth service, allegedly forged an Exemption Certificate several years after her graduation. The certificate, which is dated September 2009, was reportedly signed by an NYSC Director-General, Yusuf Bomoi, who already left the scheme in January 2009. In November 2015, Adeosun was appointed as Minister of Finance under President Muhammadu Buhari after she had been cleared by the Department of State Services and by the Senate.